Vani Vagi Morea (born 13 March 1993) is a Papua New Guinean cricketer. Morea is a right-handed batsman who bowls right-arm medium pace. He was born in Port Moresby. 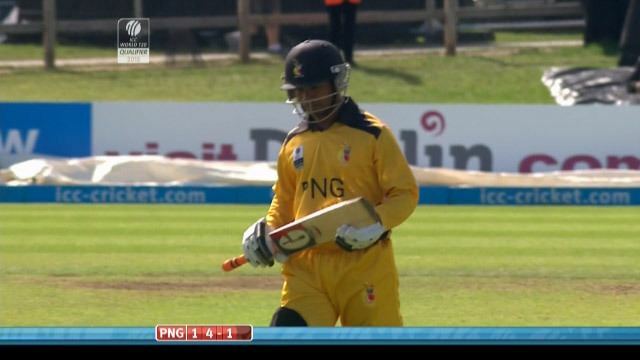 Morea made his debut for Papua New Guinea in the 2009 World Cricket League Division Three, where he played 5 matches. He later appeared for Papua New Guinea in the 2011 World Cricket League Division Two. It was in this competition that he made his List A debut against Bermuda. He played a further 5 List A matches in the competition, the last coming against Hong Kong. In his 6 matches in the competition, he scored 165 runs at a batting average of 55.00, with a high score of 74*. This came against Hong Kong. He made his One Day International debut for Papua New Guinea on 8 November 2014 against Hong Kong in Australia. He made his Twenty20 International debut for Papua New Guinea against Afghanistan in the 2015 ICC World Twenty20 Qualifier tournament on 23 July 2015.